Sebastian Brock is a force of nature. Yoyo used is the Cardboard Dreamboat by Freshly Dirty. Sebastian Brock is a force of nature. Yoyo used is the Cardboard Dreamboat by Freshly Dirty. Former US National Champion Sebastian Brock’s new signature model, the Bassacuda, is finally hitting retailers and that means we get a beautifully shot video full of Sebby’s trademark awesomeness to celebrate! Hell yeah! Yoyo used is the Duncan Bassacuda. Duncan Crew player and former National YoYo Champion Sebastian Brock throws some crazy tricks in this new video. Sebby is throwing a (final?) 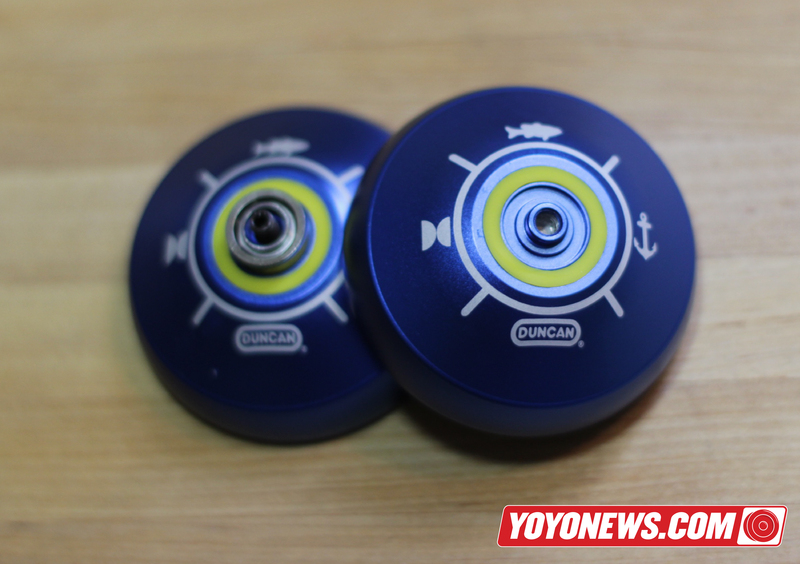 prototype version of his new signature yoyo from Duncan Toys, the Bassacuda. I got a few minutes with the most recent prototype a couple of weeks ago and it’s a fantastic yoyo….smooth, fast, and holds spin really well. Could be a nice win for Duncan and Sebby! Video shot and cut by Tucker Holland. The Duncan Triumph is the new signature model of 3x World YoYo Champion, Hank Freeman…so if you’re gonna make a promotional video that doesn’t have him in it, you better find some damn good players. As luck would have it, Isaac Sams and Sebastian Brock are damn good players. Enjoy! Yoyo used is Triumph by Duncan Toys. Releases worldwide on October 21st, 2014. 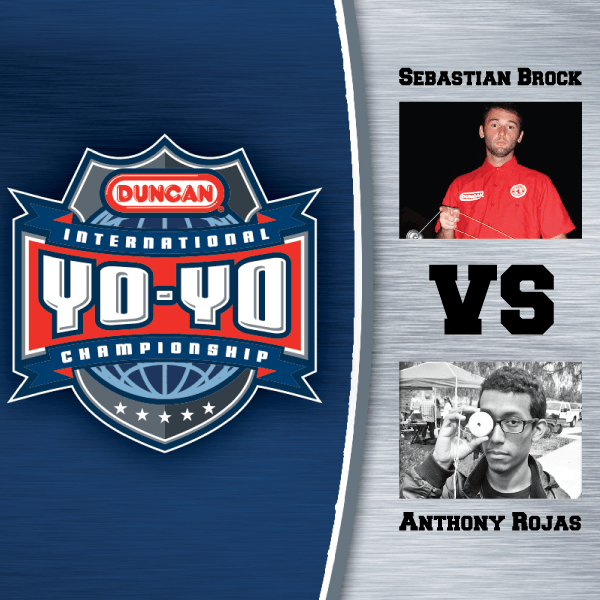 Sebastian Brock is the 2010 US National 1A Champion, and considered to be both a technical and creative powerhouse. His unique style has earned him a ton of fans, and his recent move to the Duncan Crew of sponsored players is viewed by many as a move to cement his legacy as one of the best players of all time. His recent fourth place finish at the Triple Crown of YoYo seemed like a strong warm-up for IYYC, and if he brings that same routine absolutely clean, he’s got a shot at a Top 3 finish. Anthony Rojas is the current Bay Area Classic and California State Champion, two of the toughest 1A contests in the country. Some have argued that BAC is harder to win than US Nationals! His creativity is undeniable, and he’s been on the short list of favorite players among serious players for years. Now that Anthony has finally mastered the art of bringing his unique style and over-the-top creativity to the contest format, he seems to be unstoppable. Will he take home big cash from IYYC? 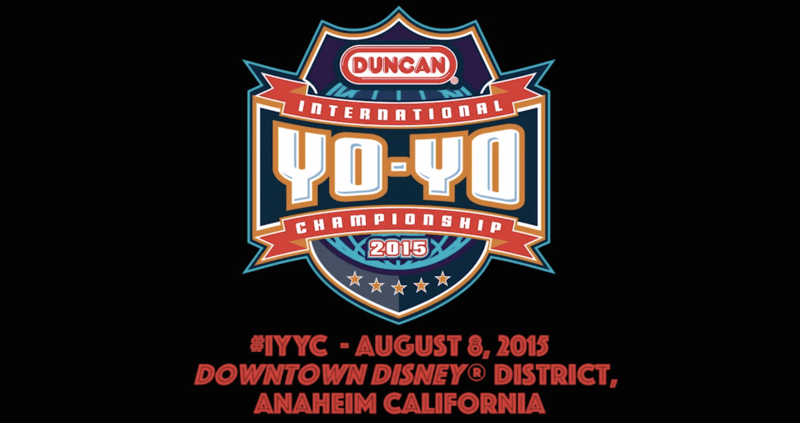 Who do you think will place higher in the 1A Division at IYYC…Sebby or Anthony? Cast your vote below!